We are very pleased to confirm details of our new single “After Each Dark”. The song is being released as a download this Friday (26th of July). 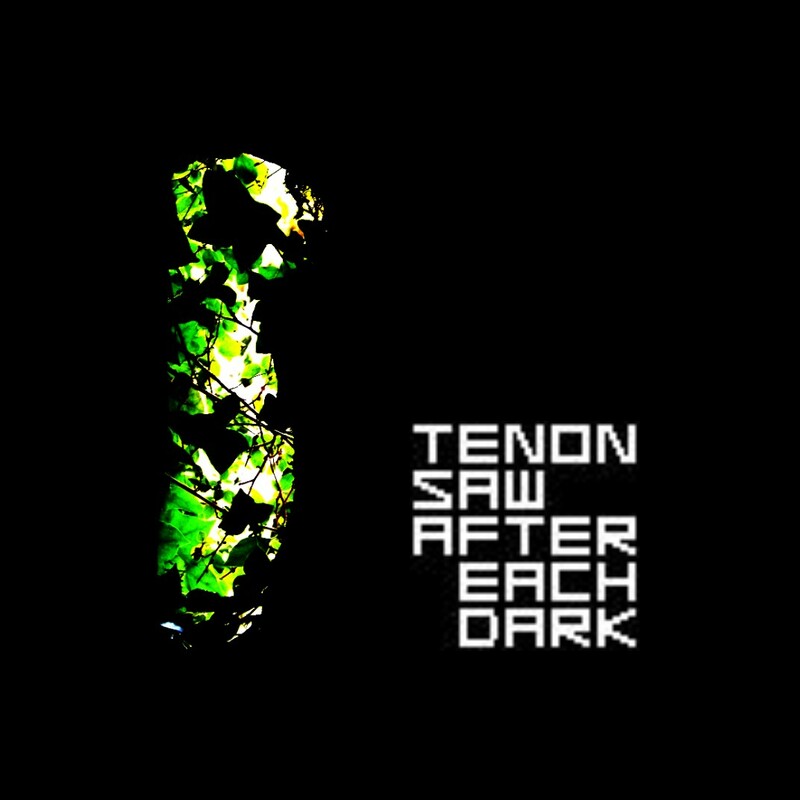 To download your copy head over to [www.musicbytenonsaw.com/album/after-each-dark] on Friday and click on the “Buy” link. (The link above will be live from first thing Friday). You can choose to pay what you like, or indeed nothing (€0.00, $0.00 or £0.00). 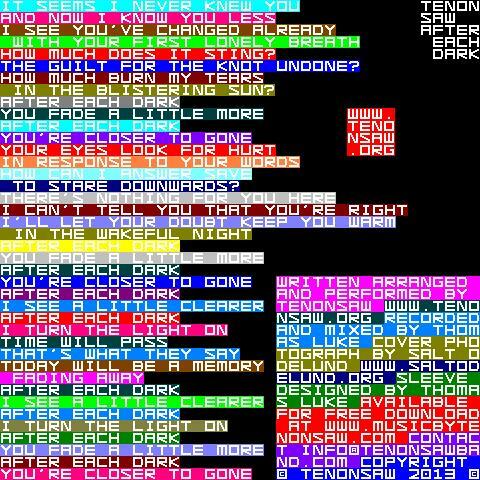 If you wish to give us some cash for the song then please feel free, it will be much appreciated, but if not that’s fine too! We have a number of Promotional CD singles still available. If you would like to receive one of these then please contact us through our Facebook page [here], e-mail info[at]tenonsawband.com, use the [Contact] tab on this website, or contact one of us directly. Depending on where you are we may or may not have to ask you for postage, but the CD will be free as long as we have copies left. The cover art was designed by Thomas Luke from a photo taken by Salt Odelund, you can see more examples of her photography [here]. We are just putting the finishing touches to a video for the song, and once we are happy with it we will post it here on our website and also on our Youtube page [here]. We hope you enjoy “After Each Dark”, and we look forward to sharing more of our music with you very soon. This entry was posted in New Songs, Releases, Videos. Bookmark the permalink.